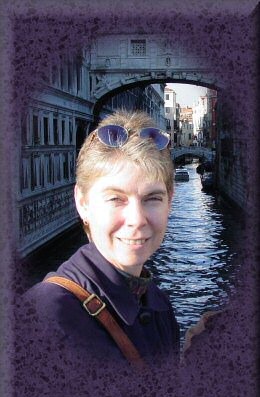 Clare Dunkle is the author of the book The House of Dead Maids , which chronicles the story of young Tabby, who becomes a nursemaid to the boy that will become Heathcliffe in the classic story of Wuthering Heights. Tabby's job isn't easy, as their home of Seldom House is haunted by many dead maids, and a great evil force is at work. 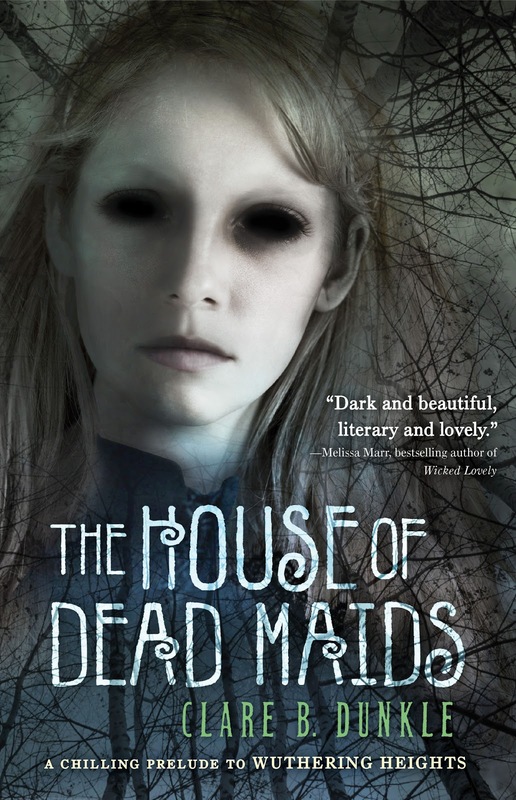 "When the story of my new novel, The House of Dead Maids, first came to mind, it was like a spooky dream: gray, eyeless ghosts gathering in dim stone hallways, storm clouds sweeping over weedy, overgrown gardens, and through it all, a little boy playing happily, unworried in the midst of horror. That little boy, called Himself in my book, becomes Heathcliff in Emily Brontë’s Wuthering Heights . In that classic, Heathcliff rarely gets to be happy because he brings conflict into the book with him, so I wanted to create a story where he could feel at home. How can a child feel at home when he is surrounded by evil ghosts? Himself (later Heathcliff) has two advantages. First, even before the beginning of my book, he has survived almost unimaginable trauma, and he has grown used to violence and grisly scenes. And second, I’ve given him a guardian angel for this story: an eleven-year-old nursemaid named Tabby. While Tabby hasn’t witnessed much violence, she is a survivor too, as tough in her way as Himself is in his. He trusts her to look after him, and so he can play while she worries about both of their futures. I drew inspiration for Tabby from strong narrators in two Brontë classics: Nelly Dean, the housekeeper in Wuthering Heights, and Jane Eyre, the protagonist of her own novel. These are women who feel that they can rely on themselves, and they speak frankly to the reader because they have a strong sense of self-worth. Both of them are telling stories from the comfortable perspective of maturity: they are looking back over a lifetime of difficult decisions, and they feel few regrets. This adds to the power of their narrative voice. My narrator, too, is looking back from a comfortable distance to tell the story of The House of Dead Maids—she tells us this in the very first sentence of the book. Every now and then, Tabby contrasts her younger, inexperienced self with the wisdom she has gained since, but for the most part, she lets us know that she is who she is. Whatever others think of her—that she is ugly or odd-looking or unintelligent or meddling—doesn’t do much to upset Tabby’s self-esteem. Instead, she congratulates herself on having a good conscience, and she works hard to keep it that way. Tabby derives her strength from an unshakeable belief in the strict rules of her day: the rich do what they please, the servants work, the bad go to hell, and the good go to heaven. Himself derives his strength, both in my book and in Emily Brontë’s classic, from his refusal to believe anything of the sort. 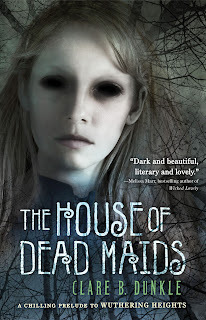 Children or not, two such strong characters are a force to be reckoned with, and in The House of Dead Maids, they deal with ghosts, mobs, and murderers, and both make it through to new chapters of their own. What neither Tabby nor Himself manages to do, at the end of the day, is to change one another. Their adventure only cements their conflicting attitudes." Also, here is a Special Brontë-themed giveaway! Love the cover art of this book! What a fantastic premise for a novel. Please enter me! Have you read her book, The Hollow Kingdom? I've read a thousand Young Adult books, but The Hollow Kingdom is still one of my absolute favorites. I highly, highly recommend it. Gorgeous book cover. I haven't read this and will definitely, ... that cover is appealing enough to charm the bookworm in me.